The most obvious evidence of the international appeal of children’s live action programming is the pipeline of shows coming out of vertically integrated studios such as Nickelodeon and Disney. Nick also makes a point of staying across trends in digital media. Social-media star JoJo Siwa, for example, has appeared for Nick as a show host, in a TV movie and as a star of her own reality series. “We now have a deal with her and are looking at all the options,” Hahn adds. Andrew, a kids’ industry veteran, recalls the success of Wolfblood from his time at the BBC. He also cites the mermaid-themed projects that ZDF Enterprises (ZDFE) distributes on behalf of Australia’s Jonathan M Shiff Productions. H2O Just Add Water has sold to 120 countries, while its sequel, Mako Mermaids, has been picked up by Netflix for the global market. Recently, ZDFE has had particular success selling kids’ live-action to channels in Asia, including the Philippines, Vietnam and Thailand, as well as the pan-regional network HBO Asia. Other fantasy-driven successes include The Worst Witch, a BBC, ZDF and Netflix co-production based on the books by Jill Murphy. ZDFE is also back in the international market with Jonathan M Shiff’s latest children’s project, The Bureau Of Magical Things. Filmed in Australia, the show follows the adventures of a teenage girl who acquires magical powers when caught in a clash between an elf and a fairy. Hahn points out that Nick is also active in the fantasy/magic space. In May, the company unveiled plans for a new 20-part show called Knight Squad, which is set at a magical school for young knights. Zodiak’s Andrew says another genre that travels well is music/performing arts-based shows. His company has made The Lodge for Disney, while DHX’s contribution to the genre includes Backstage, licensed to Disney and Netflix. Another model that seems to work at international level is the co-pro, in which the story’s lead character visits another country. UK producer Lime Pictures, for example, has enjoyed success with Free Rein, which aired on Netflix. The storyline turns on a 15-year-old American girl who visits a horse stable in the UK. Zodiak’s slate, meanwhile, includes Joe All Alone — about a 13-year-old boy whose uneasy life starts getting better after his mother and her objectionable boyfriend leave him behind while they holiday in Spain — from Joanna Nadin’s book; and CBBS’ Secret Life Of Boys, in which an Australian girl comes to say with her four British cousins. An added point of interest about Secret Life Of Boys, Andrew says, is that it offers interactive elements that deepen engagement via character insights, story secrets and additional jokes. 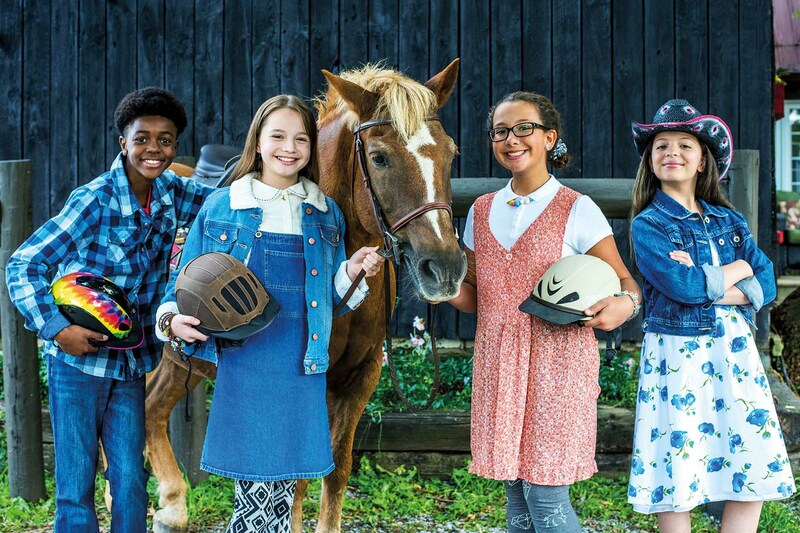 While the majority of live-action shows for kids are aimed at the eight-to-12 tween market, a few companies are having success with live-action for younger kids. Darrall McQueen co-founder Billy Macqueen says his company’s hit series Topsy And Tim is one of a handful of shows that has given broadcasters the confidence to experiment with pre-school live-action. One age group that does not see a lot of live-action are six- to nine-year-olds. This, however, is the segment that Brain Power Studios founder and president Beth Stevenson is exploring with The Ponysitters Club. To date, many of the kids’ live-action series that travel have originated in markets such as the US, the UK, Canada and Australia. At the younger end of the spectrum, Sinking Ship’s Dino Dana (Canada) and ABC ME’s Little Lunch (Australia) are examples of how the live-action genre is being stretched, the former using CGI and the latter a mockumentary set in a primary-school playground. Another illustration of Australia’s expertise in live-action is Nowhere Boys, a Matchbox Pictures’ production for ABC3 that has so far run for three series and inspired an 80-minute feature film. Canada’s Odd Squad (Sinking Ship) and the UK’s Horrible Histories (Lion Television) are also well-travelled kids’ live-action series. Mainland Europe’s primary contribution, as illustrated by ZDFE, is as distributor or co-pro partner. Another example of this is Studio 100 Media, which came to MIPCOM last October with two kids’ live-action series from Australia: Drop Dead Weird and Random And Whacky. Drop Dead Weird is a good example of how co-pro and cross-cultural experiences can dovetail neatly, especially if there is a fantasy twist. In this show, an Australian family moves to Ireland to run a B&B in a remote seaside village. However, things are complicated by the fact that the parents are zombies. Italian broadcaster De Agostini is entering the kids’ live-action space with New School, a show for seven- to 12-year-olds. Launched in December 2017, the 26 x 26 mins first season follows a group of children who join a new school, where they stumble across an out-of-service room that only kids can enter. The series has already been renewed by De Agostini for a second season. 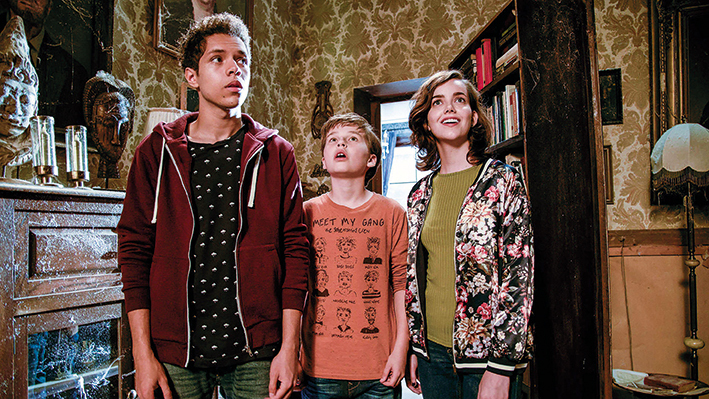 Europe’s growing impact on children’s live-action can be seen in the latest crop of shows aimed at the older end of the market — teens traversing into adulthood. German kids’ channel KIKA, for example, commissioned Five2Twelve as a way of appealing to an older audience. This show centres on five teenage boys who have all been in trouble with the police. Also noteworthy is NRK Norway’s hit youth series Skam (Shame), which focuses on kids at a high school attempting to deal with issues such as eating disorders, sexual assault, homosexuality, mental health and cyberbullying. The challenge with shows like these is that they can be too culturally specific to travel. One solution is to format the show. A breakout hit in its own region, Skam was picked up for reversioning in France, Germany, Spain, Italy and the Netherlands in late 2017. Entrepreneur Simon Fuller also picked up the English-language rights to the show and has since licensed it to Facebook Watch, which will make a US version. This article was written by Andy Fry, edited by Julian Newby, and originally appeared in the MIPTV 2018 Preview magazine , which you can read in full online, here!